Ms. Matheus is an internationally accomplished electronic music composer who has been composing with computers and electronics since the early 1980. She is Brazilian national with a B A. in Music. She studied composition under the direction of Hans Koellreutter in Sao Paulo, Brazil. Silvia Matheus moved to U.S.A. to continue her studies at Mills College, Oakland, California where she graduated with a MFA in Electronic Music and Recording Media [in 1986]. She continued her education by taking many interactive music courses at the Center for New Music and Audio Technologies (CNMAT), UC Berkeley, California. She has also attended many seminars and lectures in the field of computer music in Europe, Asia and North and South America. In the early eightieths Silvia Matheus built music scores/controllers made of glass etched with conductive painting that interfaced with electronic instruments with the score acting as a controller. 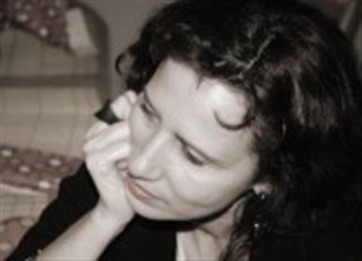 Silvia Matheus' main focus is on interactive improvisation with computers, electronics, and instrumental ensemble. She has composed music for multi-media projects, video, film, audio installations and radio plays. Her compositions have been selected to be recorded on ICMA label, and Ms. Matheus were many times selected for presentation at the prestigious International Computer Music Conference (ICMC): Hong Kong, China (1997); Banff, Canada; Tokyo, Japan; Havana, Cuba (2001); Copenhagen, Denmark (2007) and New York, USA (2010), and at Inter Society of electronic Arts (ISEA) at the Chicago Art Institute, USA. Her work "Hands" for piano, video, and electronics was performed in Münster and Cologne, Germany, Stanford and Mills College as part of "Handscapes", a multi-media piano and video project directed and performed by Jennifer Hymer. Her most recent collaboration was a piece for saxophone, video and electronics, a collaboration with Naomi Sato that was performed at ICMC and the Experimental Festival - Sound, Art & Performance in Tokyo. Ms. Matheus' reviews of computer music concerts and conferences have been published in the Computer Music Journal and the Array Magazine. Silvia works as a freelancer videographer for the Bay Area art community and teaches radio production and sound design classes in the Bay Area.